Alissa Huston is a Rochester native who received her medical degree at the University of Buffalo, and went on to complete an Internal Medicine residency at Strong Memorial Hospital. She then attended the University of Pittsburgh for her Hematology/Oncology fellowship, during which time she was involved in research involving bone metastasis in cancer. 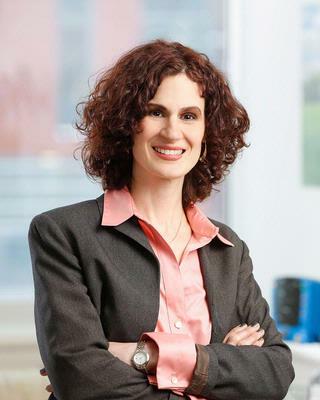 Currently, she is an Assistant Professor of Medicine at the James P. Wilmot Cancer Institute at the University of Rochester, where her clinical efforts are focused on breast cancer. She is also the Director for Medical Student and Resident Education for the Hematology/Oncology Division. Her research efforts focus on understanding the effects of treatment for breast cancer upon bone health, the role of vitamin D in breast cancer and how improvements in education affect residents and medical students rotating on our inpatient oncology unit. She is a member of the American Society of Clinical Oncology, the American Society of Breast Disease and the American Society for Bone and Mineral Research. Her philosophy is that there is no singular approach to patient care. Even though many patients may carry the same diagnosis, each individual is affected by that illness in a different way. Patients are not perceived as just a number, but instead approached and treated as the unique individuals they represent. Kaldate R, Huston A, McCoy H, Cardeiro D, Noyes K. "Cost effectiveness analysis of genetic testing for breast and ovarian cancer susceptibility genes: BRCA1 and BRCA2." The breast journal.. 2014 20(3):325-6. Epub 2014 Apr 08. Vedantham S, O'Connell AM, Shi L, Karellas A, Huston AJ, Skinner KA. "Dedicated Breast CT: Feasibility for Monitoring Neoadjuvant Chemotherapy Treatment." Journal of clinical imaging science.. 2014 4:64. Epub 2014 Nov 29.